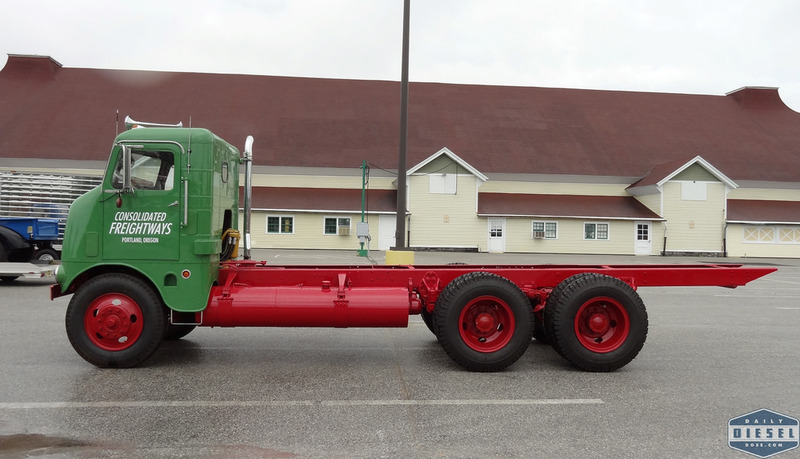 Red Lobster may have endless shrimp but only Daily Diesel Dose has endless cabovers! 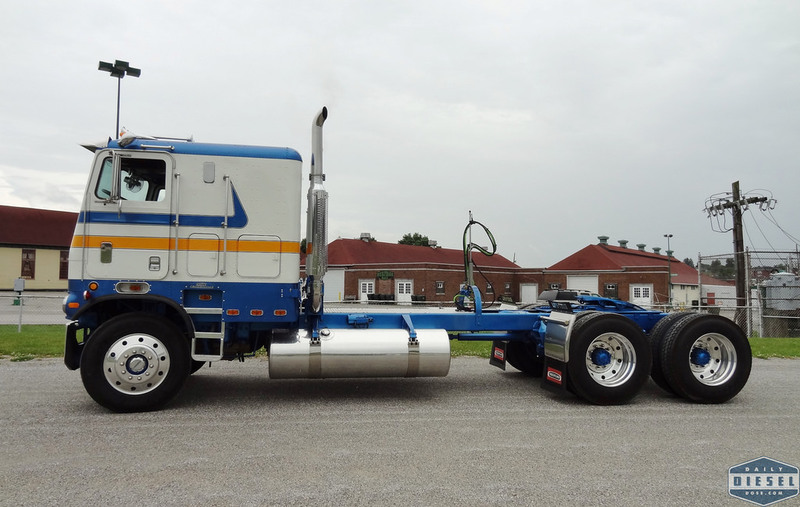 To quickly erase the taste of that horrible opening line take a look at this White Freightliner Powerliner. Ah, that’s better. 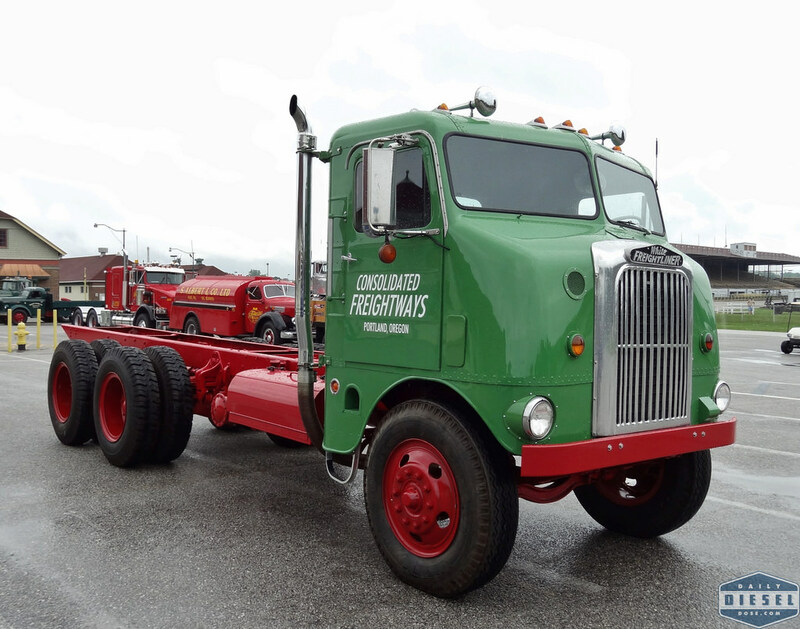 I don’t believe this is one of the Powerliners powered by Big Al, the purple painted Allis-Chalmers 450 HP monster engine that never really made it into the big time but we can dare to dream. 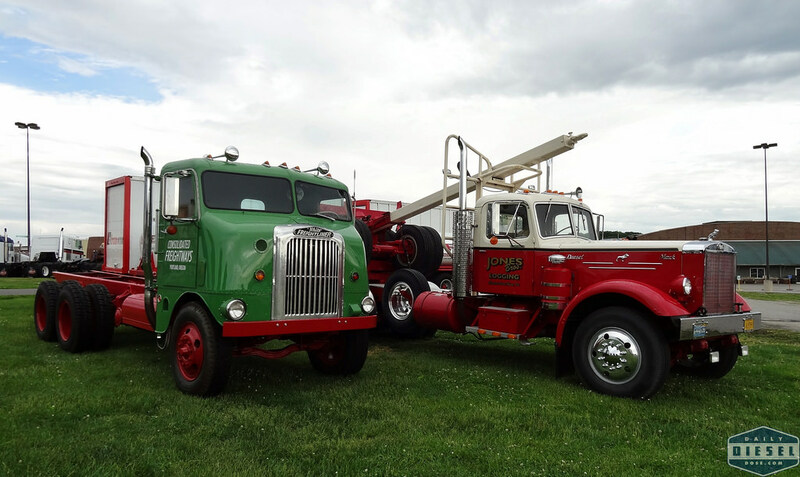 There were plenty of vintage cabover trucks at York. Here we have a Chevy Titan hauling a Ford WT9000. What a combo! Unless I overheard a different truck in the crowded unload area the Ford has one mean sounding air starter. 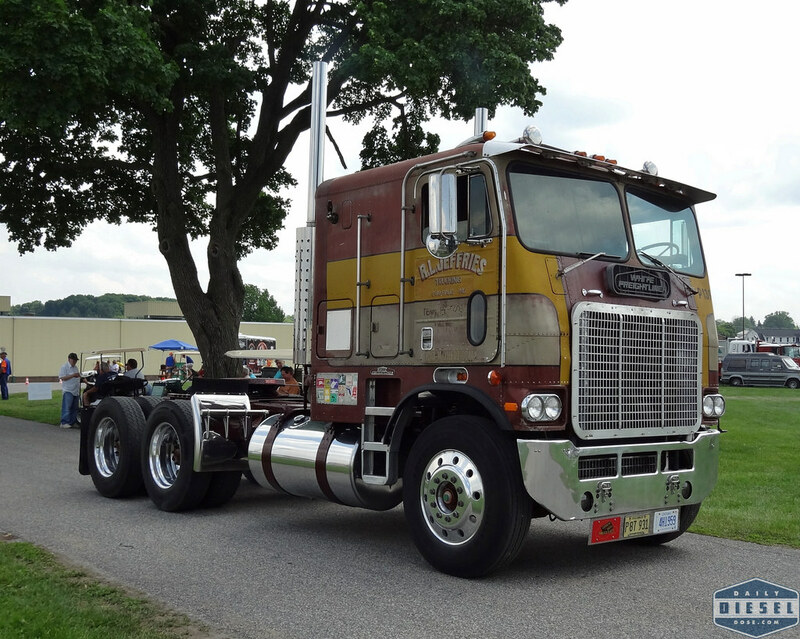 It doesn’t get anymore Freightliner than this. 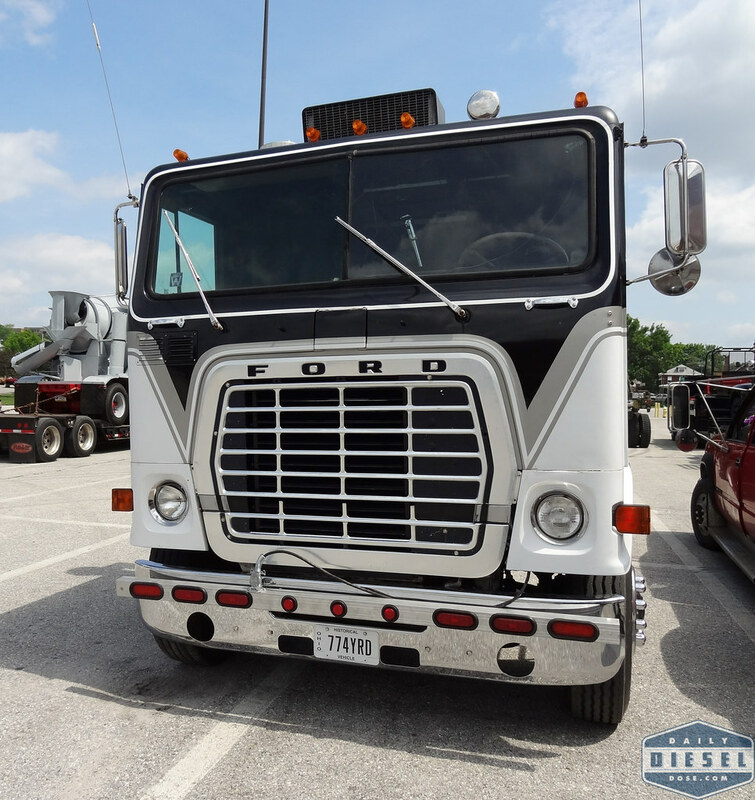 Most of you probably know that Freightliner nameplate originated with Consolidated Freightways producing their own truck in house to meet the needs of west coast and over the Rockies travel. 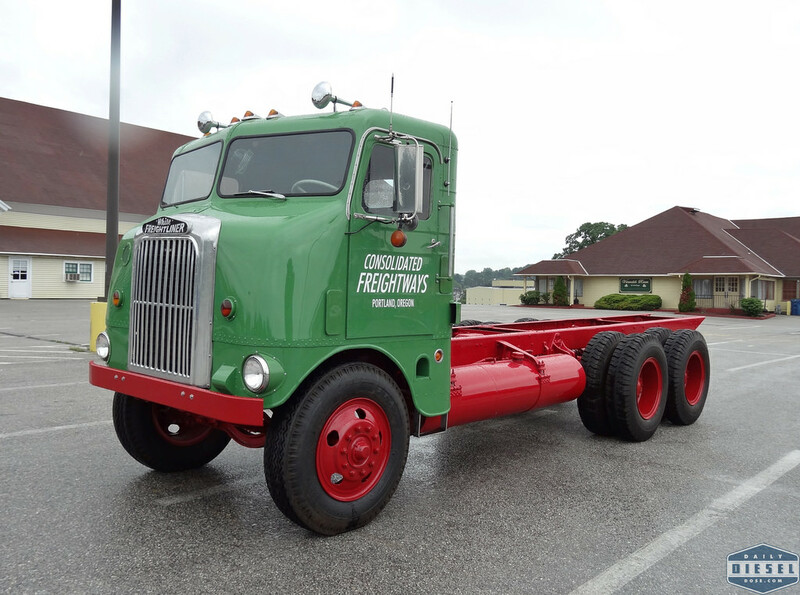 Starting in 1951 C-F partnered with White Motor Company to produce White-Freightliner branded trucks. I’m amusing this truck falls right around that time frame. 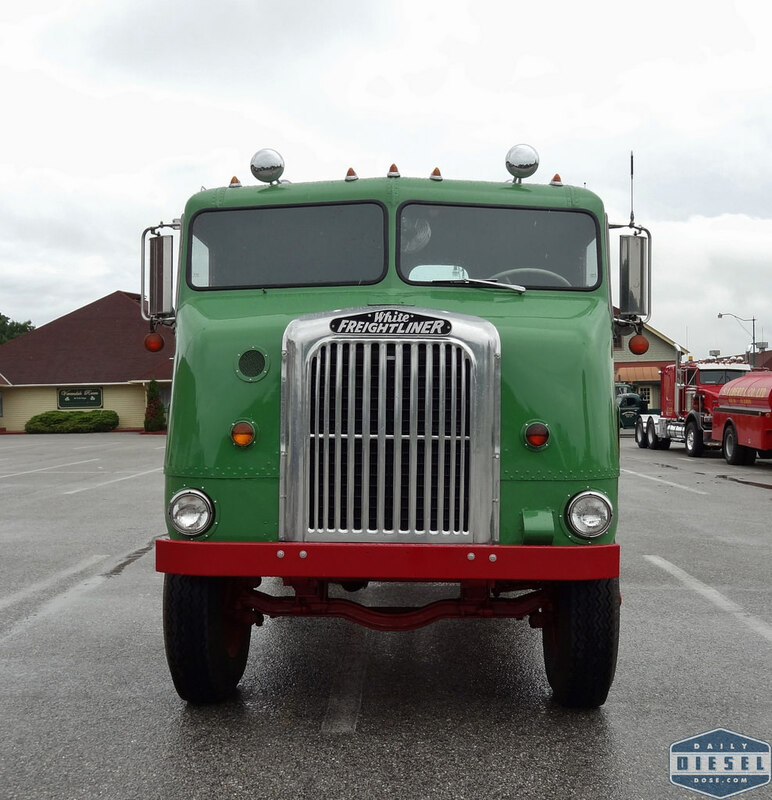 If you’re a fan of Dodge Cabover trucks you really should have been at York. At least half a dozen of these rigs were running around the shown ground at any particular moment. Outside of the 70’s when is the last time you could say that? Video evidence of the cabover supremacy. 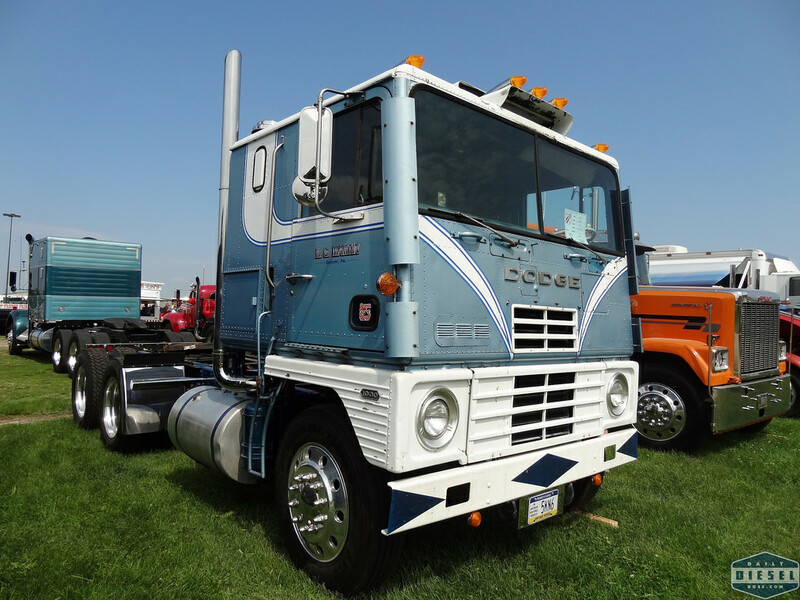 While putting this story together I realized I have way to may cabover photos to jam into one post so come back tomorrow for even more! 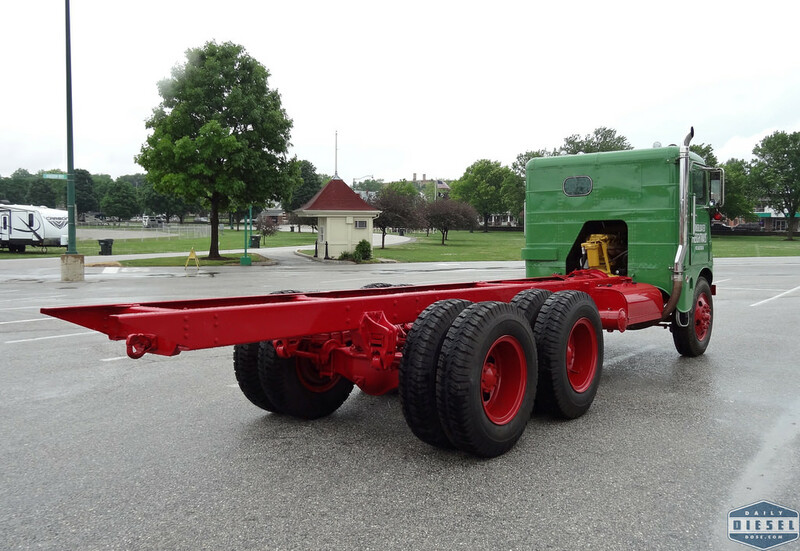 You won’t be disappointed…unless you don’t like COE trucks. 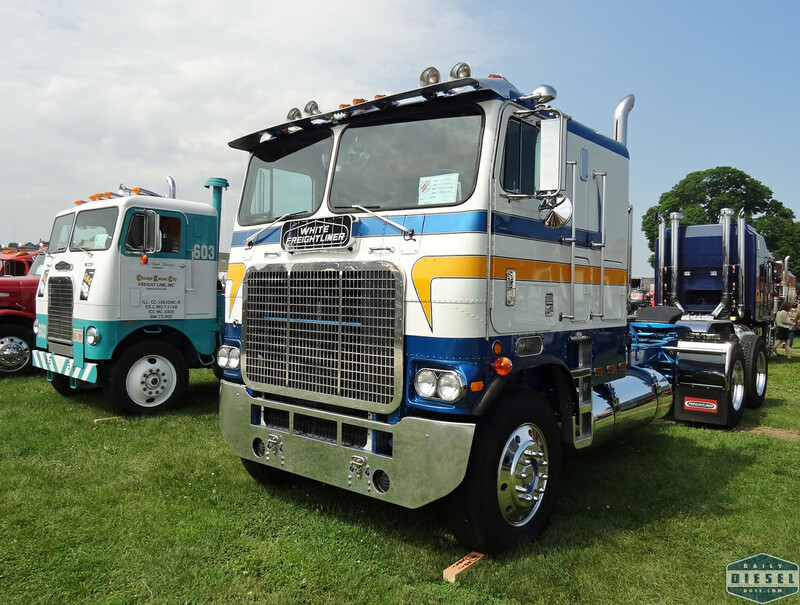 This entry was posted in Truck Show and tagged 2015 aths york, ATHS, cabover truck, coe truck, truck show. Bookmark the permalink.